Watch 24/7 Cotto/Canelo episode 2. Cotto vs. Canelo happens Saturday, November 21 live on pay-per-view beginning at 9pm ET/6pm PT. 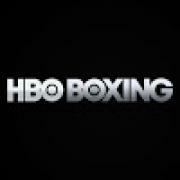 HBO Boxing Official Site: http://itsh.bo/HQslC8. Cotto vs Kirkland Press Conference Q&A - Cotto Talks Kirkland , Canelo Rematch & Freddie Roach ect. Boxing Talk Q&A - Andre Ward Sergey Kovalev Miguel Cotto Saul Canelo Cotto & Much More ! !